This mod will bring to Quake 2 new HD textures but with its ORIGINAL style, color, etc. 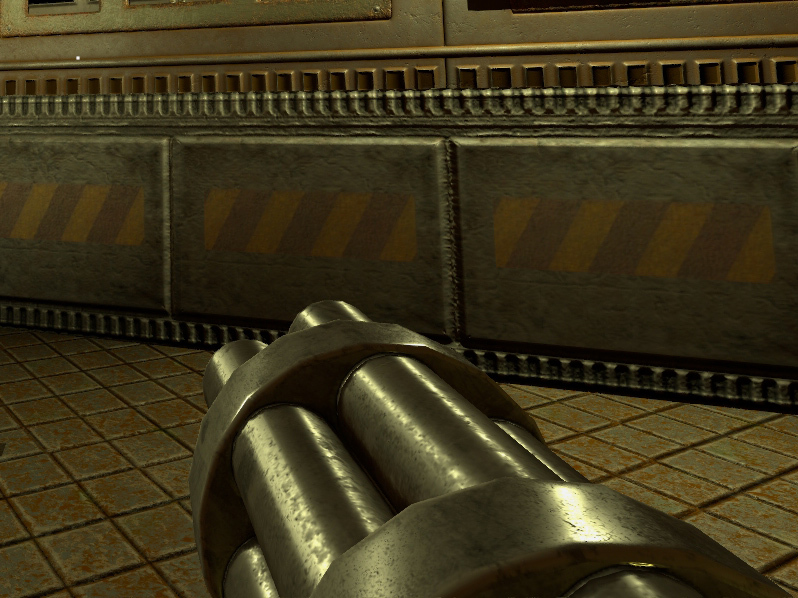 There are also 3 retextured weapons for Quake 2: Machine Gun, Chain Gun, Shotgun. DO NOT MISS the GOLD, that will shine more and more as you will stay with us! This addon retextures 3 weapons of Quake 2: Machine Gun, Chain Gun, Shotgun. VERY IMPORTANT: This addon works only with latest installment of Quake2XP mod. Looks great, chain-gun is nice improvement.